Australians are among the wealthiest in the world; something that I was often acutely aware of when I was on posting to Taiwan. Taiwanese people are among the wealthiest in Asia, but even so my Australian lifestyle seemed so decadent in comparison. But not everyone in Australia is able to live the lifestyle that I often take for granted. During Anti-Poverty Week, I visited a project in my local community that is making a real difference to many people in need: Unitingcare Kippax. 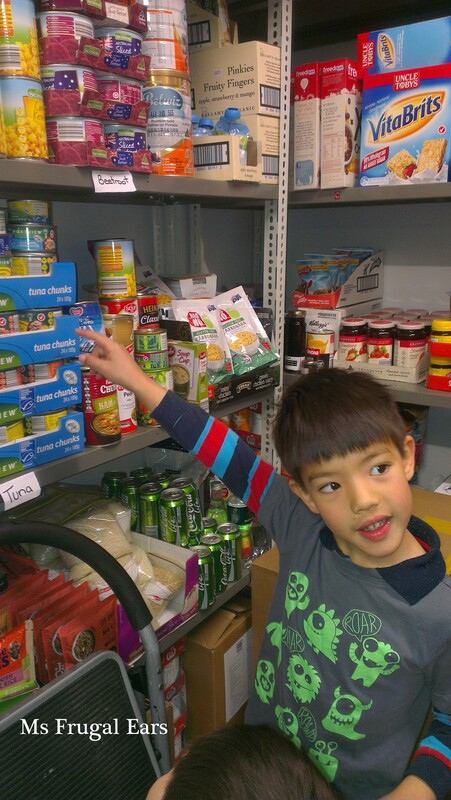 My kids and I were able to participate in a tour of Unitingcare Kippax’s Foodbank in mid October. Kippax Uniting Church provides emergency and financial relief to people in need. According to Executive Minister Gordon Ramsay, over 2,000 appointments are made each year by people seeking emergency assistance. This does not include the 4,000 or so people who receive Christmas hampers each year. 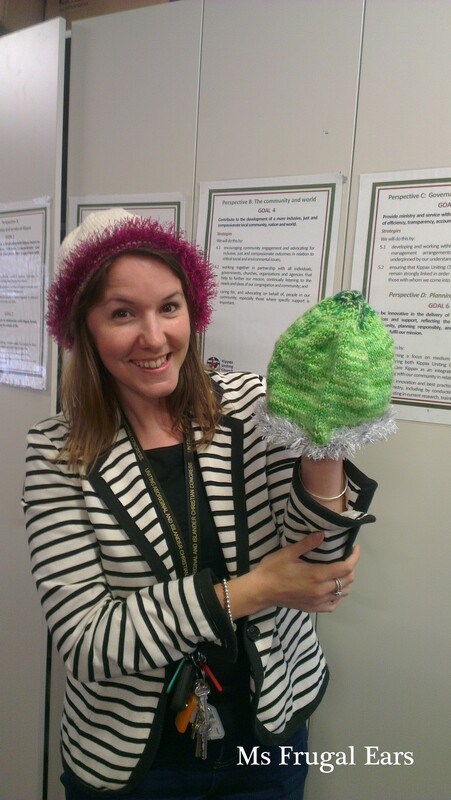 (I was humbled by my experience participating with the hampers for a few hours last year). People in financial need are met at the reception in the main building, then escorted to a demountable building at the back of the church that houses the foodbank. The main room of the demountable is surrounded by cupboards, just like any office. But these cupboards don’t contain stationary, but rather essential survival supplies: sleeping bags for people who might not have housing and instead be sleeping in a car or couch surfing; clothing for children and adults, warm clothing for winter, nappies and basic toiletries. It was a surprise for me to learn from Gordon that Canberra has the second highest rate of homelessness in Australia. When people’s basic clothing and sleeping needs are addressed, a counsellor then escorts them around the corner into the Foodbank. It was kind of like a large walk-in cupboard. 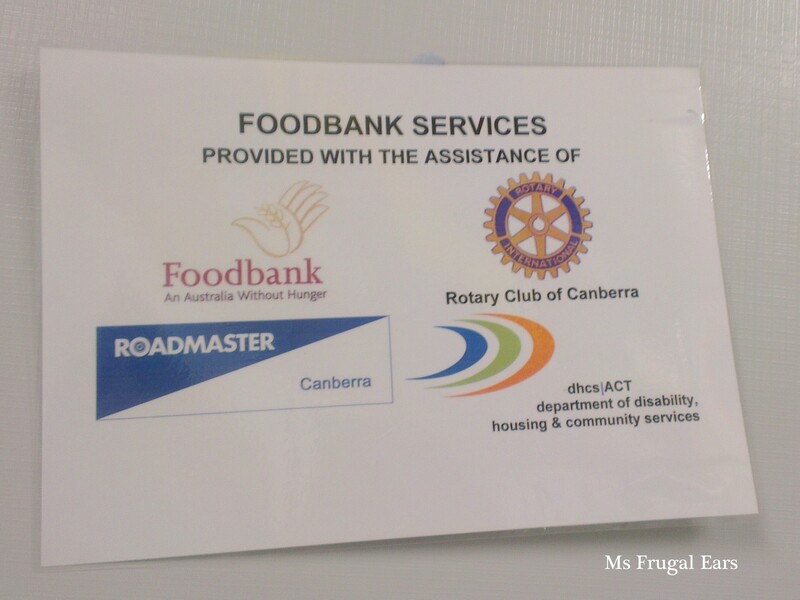 As a Rotarian I was happy to see that the Rotary Club of Canberra is a sponsor of this project. Big A and Little A had lots of fun checking out everything in the Foodbank. Little A wanted to take a tin of Milo home, but it was a bit too heavy and he wasn’t able to lift it. Big A really liked the tuna. How to explain poverty and how it affects people? I tried my best. “Some people don’t have enough money to buy tuna,” I told him. 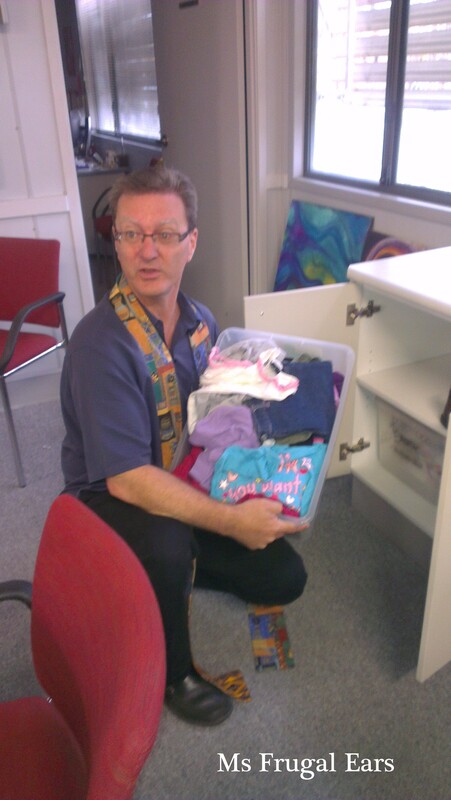 Unitingcare Kippax welcomes donations to assist its emergency and financial relief programs. And it has just launched its 2015 Christmas hamper appeal Let’s Give Everyone a Christmas, and is aiming to raise $70,000 in six weeks. 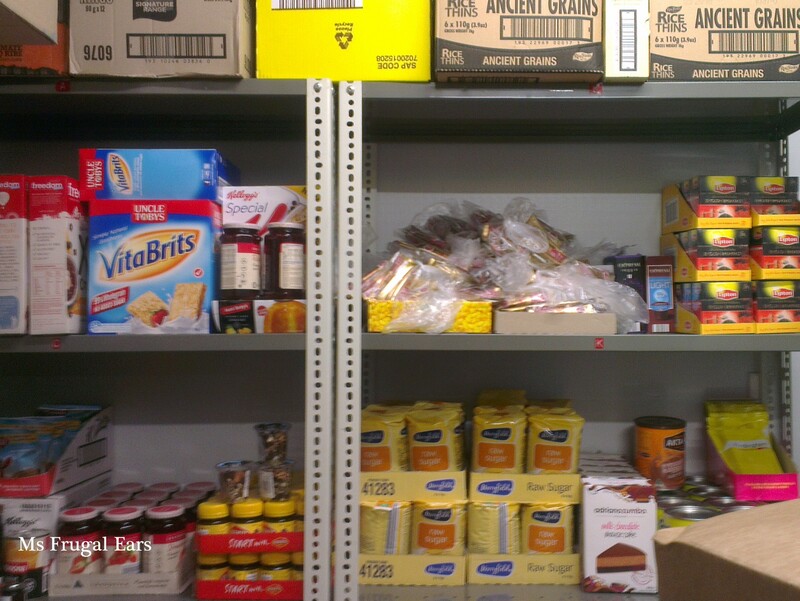 It also welcomes donations of non-perishable food, gifts and offers to volunteer time. I must admit that as someone who was always a bit against the mass consumerism and gluttony of Christmas, that I was initially skeptical about the importance of giving to a Christmas hamper appeal. But then I saw firsthand what it meant to the people who receive it. Christmas is a joyous time for many, but also a depressing time for people who don’t have money for presents for their children or for a decent celebration. The hampers make a real difference to thousands of people in our community – and not just for one day, many recipients stretch the contents out to last weeks and weeks.